Thank you for visiting Boiler Services Dublin, we have been providing a complete range of boiler services for businesses throughout the county for the last forty years. We are Dublin's leading independent specialist boiler company. 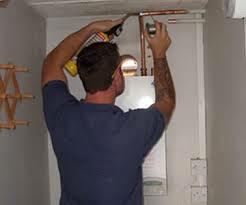 We deal with boiler service, repair and replacement. All of our staff are R.G.I. registered fully qualified plumbers by trade but because of the large amount of different makes and models produced over the last four decades they decided to make boilers their niche speciality. This is why we employ them. Some of our boiler technicians have over 35 years experience in this niche. That means there is never a problem we can not fix. There are a large number of benefits in having an annual boiler service, below are a few. Boiler services for businesses and the benefits. Cost cutting. In a recent independent survey it was stated that on average a boiler service on a boiler that hadn't been serviced for three years would save approximately 15% on annual heating bills. Safety, boilers can leak. This could be toxic emissions causing possible illness or in the worst case fatalities. Water leaks, slow water leaks can seep in to places. This can cause structural damage to the property. In the worst case scenarios the water can get in to electrical outlets causing fires. These issues can be very expensive to address or cause a sharp rise in insurance premiums. The cleaning of parts and optimizing start up performance. Boilers are like most other things mechanical, when they are not used for a long time they may have problems when being asked to do their job again. Our boiler service technicians will optimize the start up performance of your boiler. With their expert knowledge they can often hear irregular sounds. This can mean a part is worn or about to stop working. As with the cleaning of certain important parts, visual inspection can show a replacement is required. Identifying any problems early can save a lot of money in the future. For more information please read our article 8 reasons why boilers stop working. As a business owner why should I choose your company? We are industry experts and all our work is fully guaranteed. We are covered by our comprehensive professional and public indemnity insurance for your extra peace of mind. We operate a 24 hour emergency plumber service for those dreaded plumbing or boiler issues that crop up outside normal hours. We will arrange a time that suits you for your annual boiler service. It does not matter to us whether its early mornings, evenings or weekends. This service is provided at no extra charge. As a business owner you may need more than one service completed. In these cases we can provide special discounted rates. Boiler services Dublin have an outstanding reputation within the industry. All of our staff are highly skilled professionals. They are 100% focused on the providing high quality workmanship and giving outstanding customer service. You will find them polite and extremely reliable. If you would like to book your annual boiler service, please call one of our senior technicians on 01-8326699. Our current charges range from €59-€89 including V.A.T. depending on the make and model. We issue a compliance certificate on completion by our technicians. This is valid for 12 months.